This is a heart wrenching story, and I’m just gonna spoil it for you now and tell you that it DOES have a happy ending. This last sunday a dear friend of mine, and fellow photographer experienced something I couldn’t begin to imagine. His car was broken into; and in his car was a camera bag with several thousand dollars worth of high end photography equipment. Well here we are, about halfway through January. Steadily creeping towards my birthday on the 29th, and steadily ticking off boxes on the calendars we all have lying about the place. My 2014 started off with getting back into the routine at work. For me – work is as a Certified Flight Instructor teaching people how to fly helicopters in Moses Lake, Washington, USA. I’ve survived the first few weeks back – here’s a look at how it’s gone so far! After I posted my 10 goals for 2014 I asked some other people what their goals were. It took them a short while to get back to me (and they all haven’t yet) but to kick off my guest blogger posts I wanted to start with one of their goal sets. This comes from Jen, my younger sister, who is also a world traveler. We’ve been to a lot of the same countries and then we each have our own additions to the travel book thingy…oh yeah…passport. She’s not a roaming pilot like I am, but that doesn’t mean she doesn’t have wander bug like the rest of us. I’m still interested in hearing more peoples big goals this year. SO SEND THEM TO ME. 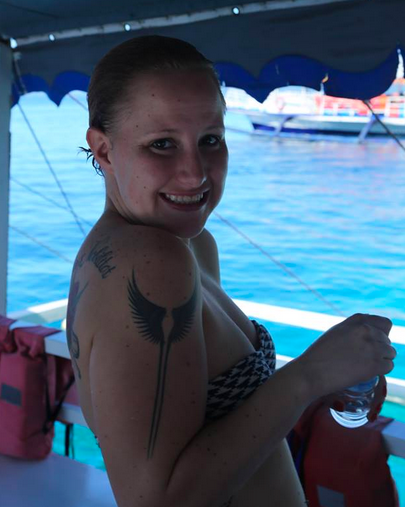 My sister Jen in the Philippines Island Hopping around Samal. Tomorrow I’ll try and get my regularly scheduled blog post online as well. With AWESOME PICTURES. Ok so the blog header here says that this is a blog about life, travel, and the world as we know it. 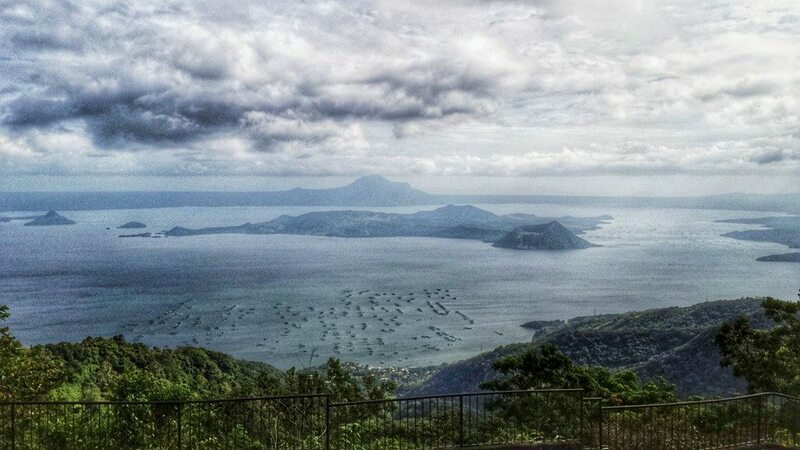 Now – up until this point every post has been pretty thematically related to travel and the Philippines and my recent trip there. Not today. Today you get LIFE AS WE KNOW IT (a hearty combination of two topic points in my header). So let’s just get straight to it. Chuck Aaron is a hero of mine, and not for the reason you might think. It has nothing to do with helicopters (ok so there is that too). This man took a dream, made it into a passion, and chased it so hard that it became bigger and better than he could have ever imagined. Every time someone new joins me in Manila inevitably the topic of where to get “those really cheap knockoffs” comes up and there is really only one place you ever need to go in Manila to get all your favorite name brands – for a fraction of the price. So I am not really big on the whole resolution thing. It doesn’t make sense to me to sit down once a year and make a resolution and then what? Most people don’t even remember them a week after they made them and even fewer people actually keep them. Now, that being said I am huge on goal writing, I think you should always be writing down goals. Short term, long term, really long term, you need those things written in pen on paper and folded a dozen times in your pocket as you roam the world. And you need to keep updating them, modifying them, deleting the ones that aren’t any good or don’t strike your fancy anymore. I do it all the time, but unlike most “resolutionists” I actually keep and achieve a good sized percentage of mine. In looking at goals over the last few years I would say I have about a 70% completion rate. Doesn’t sound like much unless you know how many goals I set. Not hitting that other 30% doesn’t cause me a moments worry.